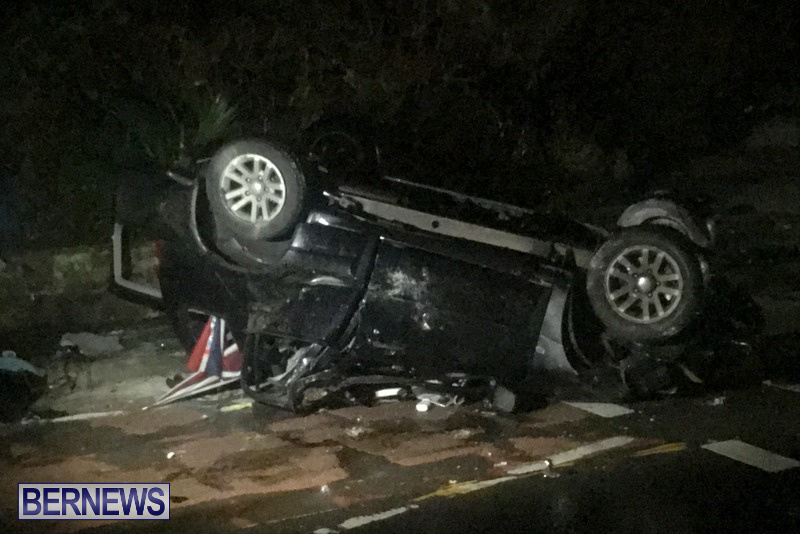 A 34-year-old man is in stable condition on a general ward while an 18-year-old woman remains in stable condition in the ICU following two separate collisions. A police spokesperson said “Around 3:50pm Tuesday, March 20th police and first responders were dispatched to a reported two vehicle collision at the junction of Middle Road and Brighton Hill Road in Devonshire. “It appears that a motorcycle was being ridden along Middle Road in the westbound lane and a car was being driven in the opposite direction when the collision occurred, as the car driver attempted to turn on to Brighton Hill Road. 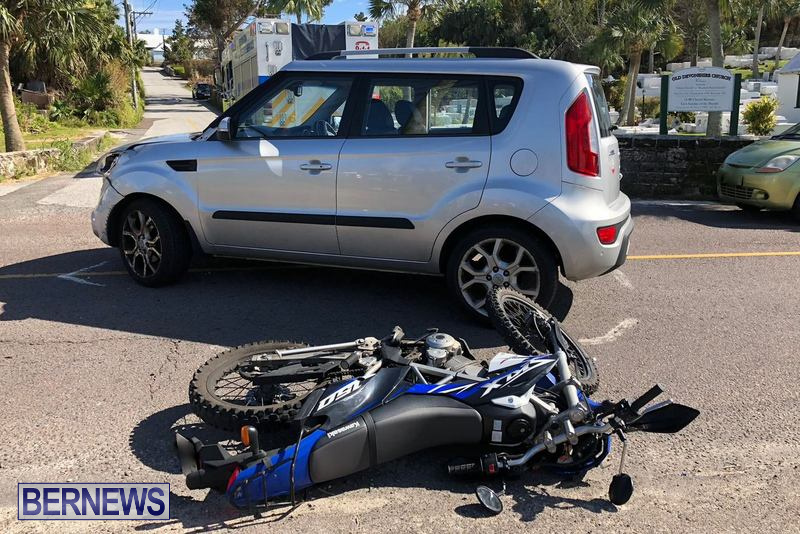 “The rider, believed to be a 34-year-old Sandys parish man, was injured and transported to King Edward VII Memorial Hospital via ambulance for treatment. “At last check this morning [March 22nd] he was recovering in stable condition on a general ward. “Inquiries continue and any witnesses to this collision that have not already come forward are asked to contact the main police telephone number 295-0011. “At last check this morning [March 22nd] the 18-year-old woman that was seriously injured in a single vehicle car crash which occurred around 10:20pm Monday, March 12th on Middle Road in Smith’s parish near the junction with Clarendon Road remained in stable condition in the hospital’s Intensive Care Unit – while the 19-year-old man hurt in the same crash had since been discharged, after receiving treatment on a general ward. “They were both passengers in the vehicle at the time – along with three other passengers and the driver – who was initially arrested on suspicion of impaired driving.